Dailybuzz.ch: Teenager Dies After Saving Girlfriend. Teenager Dies After Saving Girlfriend. A teenager died after pushing his girlfriend from the path of a freight train and being hit by it himself. 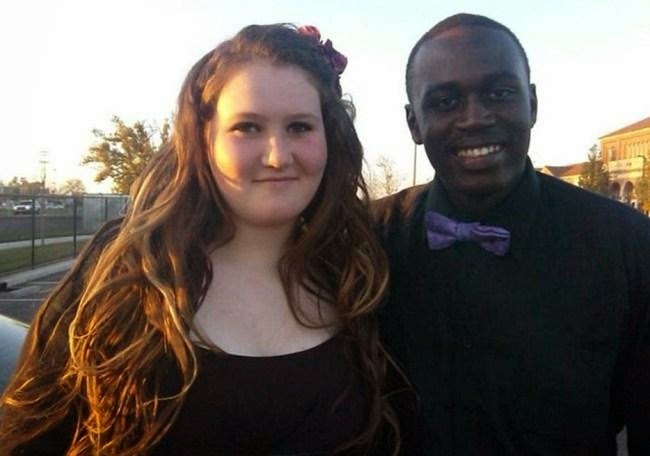 Mateus Moore, 16, saved Mickayla Friend’s life after the train ‘snuck up on them’ from behind while they were taking a shortcut to a school dance in Marysville, California, in the US. Mateus pushed Mickayla, also 16, after hearing the train approach, but died at the scene. Eric Stark, 11, who had been playing baseball close by, witnessed the incident yesterday. He told News10: ‘I heard the train, it was honking a lot. Right when they turned around it was too late. Mickayla was also struck by the train and is in a critical condition, but her family have reportedly said they are optimistic she will recover. it’s just a life cut short and it’s not fair.’ .